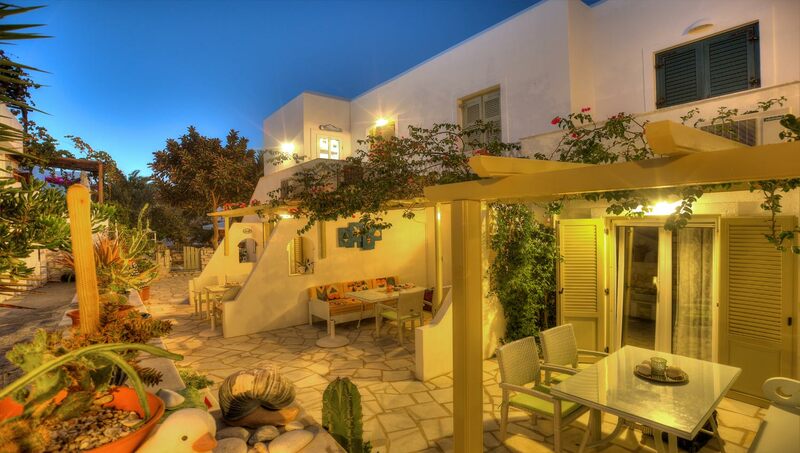 Enjoy your holidays on the magnificent island of Paros leaving your stay in our hands, here at Leonardo's. Our apartments are located in the area of Agioi Anargyroi 150m from the beach and just a 4-minute walk from the picturesque village of Naousa. We provide accommodation in fully furnished apartments for 4 and in studios for 2 or 3 equipped with all modern facilities. The pleasant atmosphere of our apartments and our hospitality will certainly make your holidays on Paros an unforgettable experience.